Karen Kingsbury has done it again! 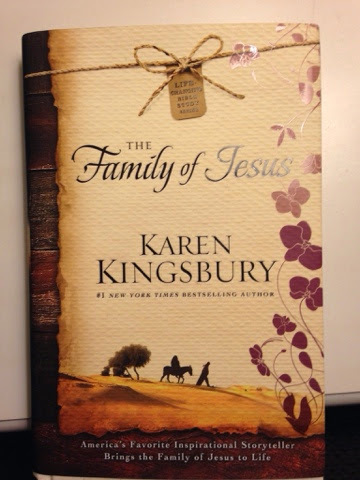 In her latest book "The Family of Jesus" Karen Kingsbury, writes the powerful story of the family of Jesus. She writes this book in a fiction way where the reader sees the perspective from Joseph, Mary, James, Elizabeth, John the Baptist and Zechariah. Each character, we see a different angle and side to Jesus, but all interwoven beautifully. Karen does a remarkable job keeping this book truthful and based on biblical context. For someone who may not understand the Bible, find it boring or simply just want to better understand how the people are connected to one another in the Bible, Karen does a remarkable job. The historical details and insights are fantastic. Each character also has a further study for each day in the back of the book for five days. This would be great to do for a small group. Thank you Howard Books for providing me a review copy of this book, I truly loved it.